All State Staple provides fast reliable delivery to anywhere in the country. Welcome to All State Staple's updated Web Site. We are pleased to provide many new products to better serve our customers shipping and packaging needs. We at All State Staple pride ourself in providing quality products and service for almost 30 years. We are located in the northwest suburb of Elk Grove Village, Illinois, minutes away from Ohare Field. 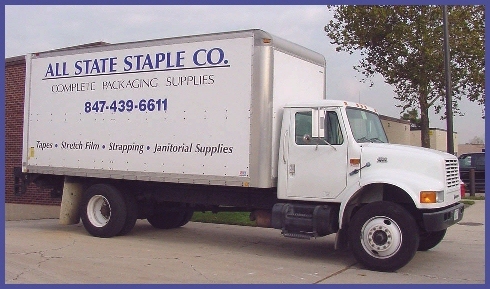 All State Staple provides fast reliable delivery to anywhere in the country.